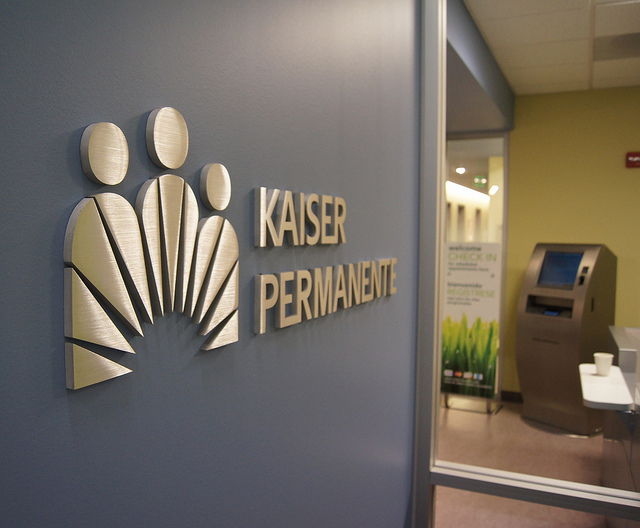 Kaiser Permanente agreed to pay a $4 million fine over claims that it did not provide adequate access to mental health care services for its patients. The state's Department of Managed Health Care levied the fine last year, citing survey results that indicated patients had to wait excessively long periods between therapy appointments, and that they were effectively dissuaded from seeking individual treatment. Kaiser had contested the fine, calling it “unwarranted and excessive.” The two parties were scheduled to give opening statements before an administrative law judge on Tuesday in Kaiser’s appeal, but Kaiser faxed a letter to the court Monday evening saying it will pay the full fine, and asked the judge to dismiss the case. "It's an admission by Kaiser that it has knowingly violated California mental health laws and shortchanged its patients,” said Clement Papazian, a social worker at Kaiser's Oakland Medical Center. It’s “a vindication of what Kaiser mental health clinicians have been saying for years." Papazian was one of several Kaiser clinicians lined up to testify in the hearings, slated to run through early October. The clinicians have complained that they weren’t able to offer individual therapy appointments in a timely manner to patients with severe depression, anxiety and other conditions, sometimes leading to wait times of up to four weeks or more between appointments. Others say patients were directed to group therapy, even in cases where the patient wasn’t receptive to group therapy and requested individual care. The National Union of Healthcare Workers, which represents mental health professionals at Kaiser, argued that these wait times and policies led to tragic outcomes, even suicide, in some cases. “Kaiser simply does not staff its psychiatry departments with enough psychologists, therapists and social workers to handle the caseload,” said Sal Rosselli, the union’s president, adding that the caseload is only increasing as more and more people sign up for Kaiser’s coverage under the Affordable Care Act. Kaiser issued a lengthy statement saying that even though it agreed to pay the fine, it still disagreed with the penalty and believed it had not violated regulations around timely access. The state's Department of Managed Health Care says it is currently conducting a follow-up survey of Kaiser’s mental health systems, to be completed this fall. Any remaining deficiencies will be addressed through corrective action plans, penalties or even the installation of a monitor. "I am committed to protecting California's health plan enrollees and ensuring they get timely access to all medically necessary health and mental health care services,” said Shelley Rouillard, the department director, “and will continue to aggressively monitor and take action against health plans that violate the law."